For years now the Medicean Month has been a regular appointment in Florence every summer. It is a series of theatre shows on historical subjects performed in various venues and focusing on the characters that over the centuries formed the Medici family. From 10th June, a new show entitled Mondi in Minore (Minor Worlds) will be performed in the streets and squares of Florence. Not all members of the Medici family were memorable characters� lots of them were as obscure in their time as they are today. The show presents four characters who, roaming through present-day Florence on a sedan chair, meet some of the children of Ferdinand I and Christina of Lorraine. All these characters are prey to their passions: Don Lorenzo, a dog lover searching for his own dogs who have run away during a theatre show in which they played the main role; Cardinal Carlo, not very pious but always ready to enjoy life, brought home after a night on the town; Eleonora, an insignificant girl, with no suitors and no real place in the world; Don Francesco, a soldier, shy and awkward with women. 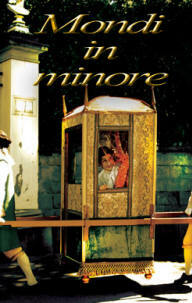 Mondi in Minore weaves its way among characters and anecdotes in the streets of Florence. The itinerant show � on foot � leaves from Piazza Santa Maria Novella and lasts approximately one-and-a-half hours. The dialogues are in Italian. Dates of performances: 10, 12, 15, 16, 17, 18, 19, 22, 25, 27, 28, 29 June and 1, 2, 3 July. Shows start at 9 pm in front of Santa Maria Novella. Tickets � 14.00; concessions � 12.00.